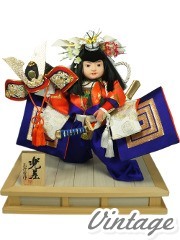 Including the two dolls with their accessories: traditional hat, fan, sword, ritual baton and two tatami (21 cm x 27 cm or 8.3in x 10.6in) to install the dolls. 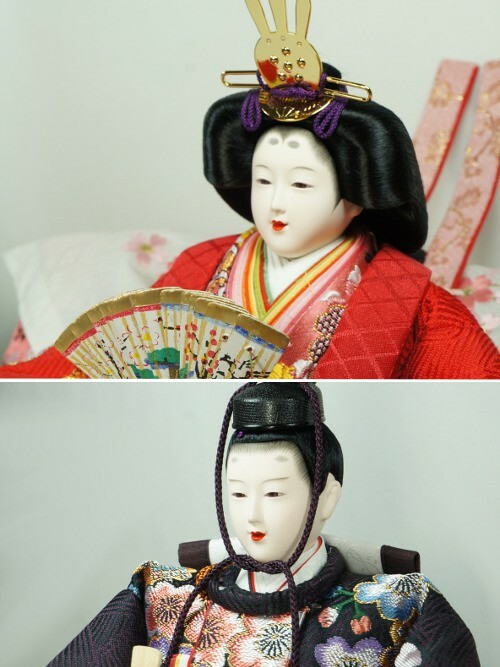 These beautiful Japanese dolls represent an Emperor and an Empress dressed in traditional costumes. 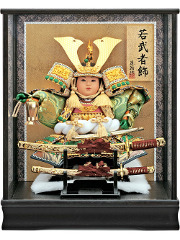 They are really precious and usually pass down from generation to generation. 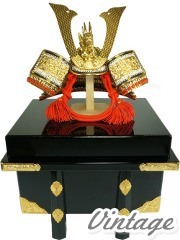 The Imperial couple is called "Dairibina", the Emperor is holding a ritual baton and the Empress holds a fan. 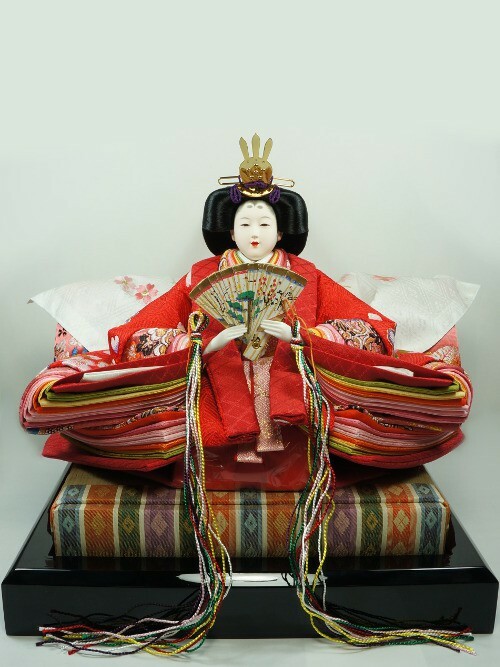 The Empress is also wearing a beautiful costume which is a superposition of 9 colorful Kimono. 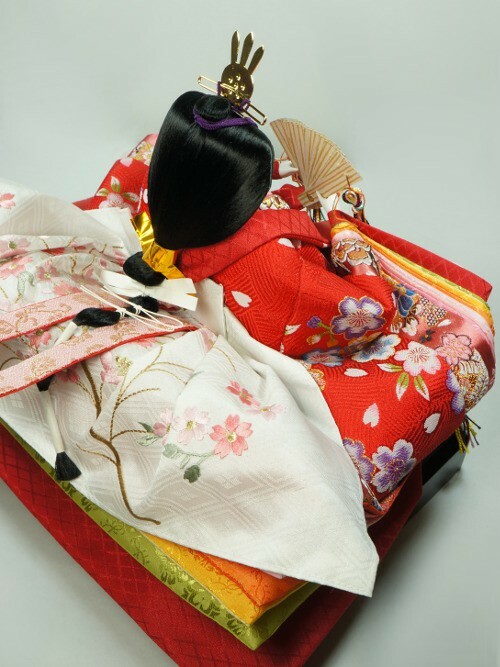 Here, she is putting on few pinky tone Kimono, very spring inspired with cherry blossoms patterns. 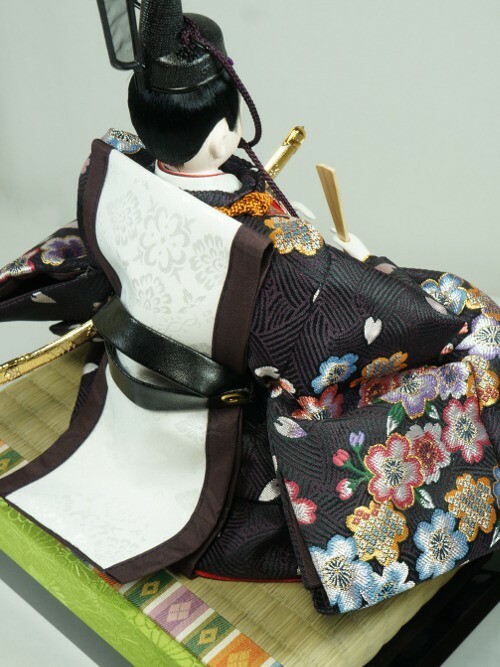 The Emperor is wearing a darker tone Kimono with very beautiful cherry blossoms patterns which contrast with the dark colors. 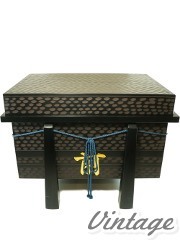 Moreover, he wears a sumptuous gold belt which enhance the clothing. 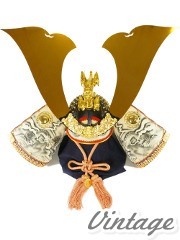 These type of Kimono are still used for the Japanese Imperial family weddings. In Japan, these dolls are used for the Hina Matsuri or Dolls' festival, a day for the little girls, March the 3rd. 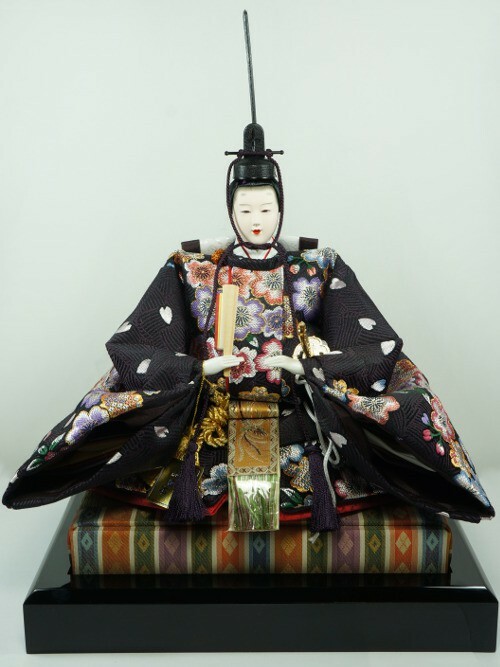 This tradition date back to Heian Era (794-1185) and the dolls were supposed to protect the girls from the bad spirits. 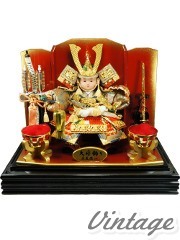 Today, this type of belief is still very popular in the Japanese houses. 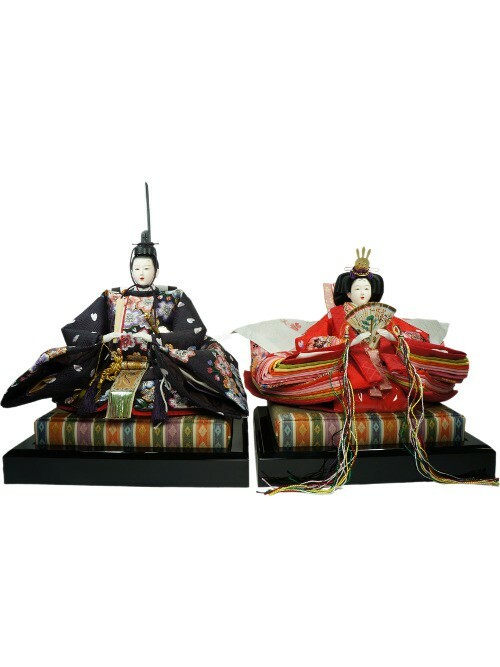 This Imperial couple will find a perfect place in your interior and it will take you back to the Japan of the sumptuous Heian Era !